Memphis and Shelby County is fortunate to have the best water in America. Other communities around the country are not as blessed as we are. That is why Memphis Light, Gas and Water wants to bring a level of comfort and reassurance to our water customers. The Environmental Protection Agency sets drinking water standards and has determined that lead is a health concern at a certain level of exposure. MLGW has tested for lead in Shelby County for many years, and tests from homes known to have lead plumbing have consistently been in compliance with EPA standards. We are making public an old database showing where 36,483 lead service lines may have been installed in the early 1900s when it was a common practice to use lead in plumbing. If your house was built before 1940, it might have total or partial lead plumbing. Between now and 2020, our field inspectors will be attempting to determine what homes actually have lead plumbing. Many listed in the 16-year-old database will be within the vicinity of the Parkways in Memphis. 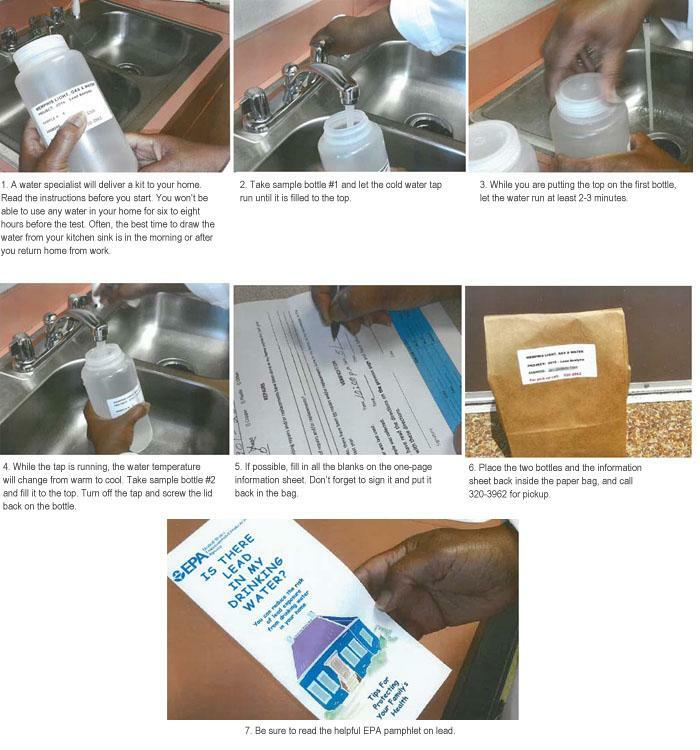 In the interim, we are providing free water testing kits to all our water customers who request one. After the sample is collected, customers will be notified of the test results are ready. Even if you have lead pipes in your home, it does not mean you have lead in your water. That is because for years we have been adding sodium hexametaphosphate, which coats the water mains to reduce corrosion and helps protect pipes in your home. DISCLAIMER: The online database showing where lead service lines are located is information that was digitized but never verified 16 years ago. MLGW field inspectors are working to correct errors and omissions. MLGW cannot guarantee the information’s accuracy and cannot be responsible for errors or omissions. As inspectors complete their process, the database will be updated regularly. Lead paint is the overwhelming cause of lead exposure in Memphis and across the country. The Shelby County Health Department has stated that lead paint in homes – not lead in water – is the most common cause of lead exposure in children in Memphis and Shelby County. Memphis should be proud of having the best drinking water in the country. MLGW is working hard to make sure that never changes.